© 2015 oriana. All rights reserved. 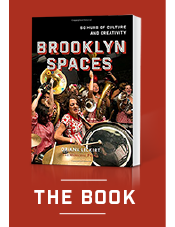 14 May Filed under brooklyn spaces book, living space, williamsburg. Tagged amanda palmer, art salon, broken angel, burning man, dead horse bay, immersionism, kai altair, kit crenshaw, mustard factory, old dutch mustard factory, schlep sisters, st. eve's elixers, taxidermy, williamsburg. Bookmark the permalink. “The ‘collection’ in House of Collection is both a noun and a verb,” says Paige, a bookkeeper and belly dancer, who has called this refurbished bookbinding factory home since 1989. 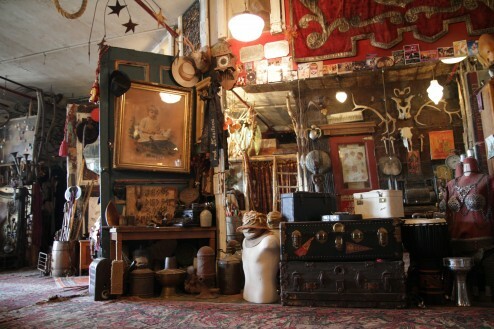 “We see collecting as a practice, a pastime, and an approach to the world.” In this marvelous jumble, there is as much appreciation and reverence shown to a cluster of rusted gardening tools as to the antique Chickering & Sons piano that Paige’s partner Ahnika inherited from her great-uncle. “The goal is to honor something for what it is, as well as for the value of all the stories that went into it,” says Ahnika. Paige and Ahnika have collections of taxidermy, kitchen utensils, postcards, figurines, Easter eggs, toys, hats, trunks, even plants, of which they have more than 100. There’s an antique hip-replacement piece, which inspired Paige’s original name for the space: The Hip Joint. There are tiny glass bottles pried out of the sands of Dead Horse Bay, earrings Paige made from discarded crack vials she found in the neighborhood, fake greenery from an early-1990s party at the Williamsburg Immersionist warehouse Old Dutch Mustard Factory. There’s a box of nails from one of Brooklyn’s great lost treasures, the outsider art sculpture Broken Angel House. Something else Paige and Ahnika collect is intensely creative people, using their home as a platform to showcase and celebrate the talents of their friends, from St. Eve’s Elixirs to the Schlep Sisters. 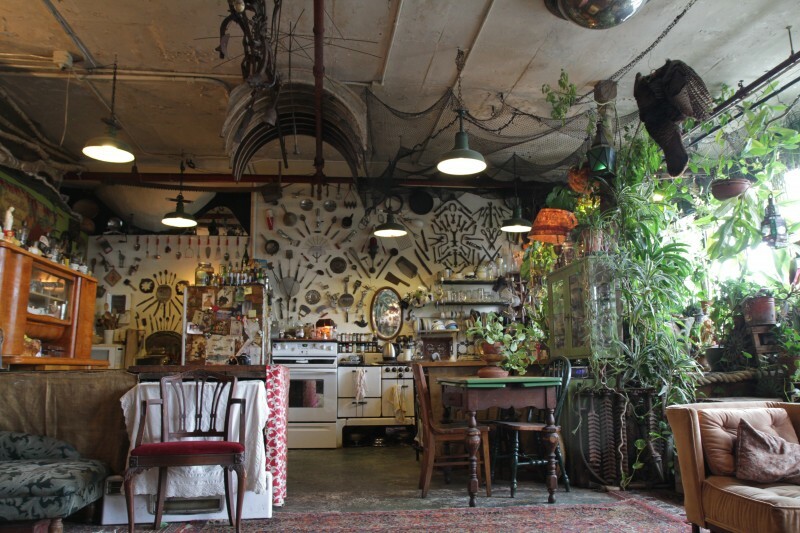 They’ve hosted Burning Man fundraisers, daylong draw-a-thons, spoken word celebrations, fire spinning, belly-dancing, magic rituals, art salons, and sacred circles. Amanda Palmer and Kai Altair have shot music videos, and the Science Channel show Oddities has filmed a segment there. For the impetuous traveler, a room in the loft is available on AirB&B. 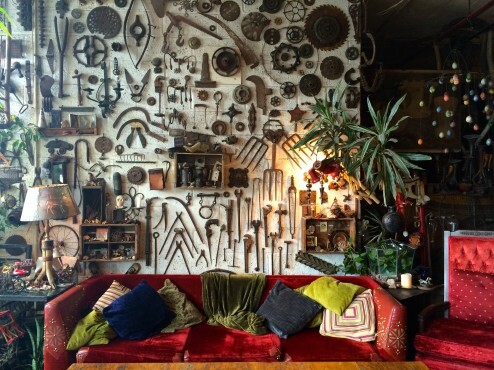 Want to learn more about House of Collection, and 49 other incredible Brooklyn Spaces? Buy the book!